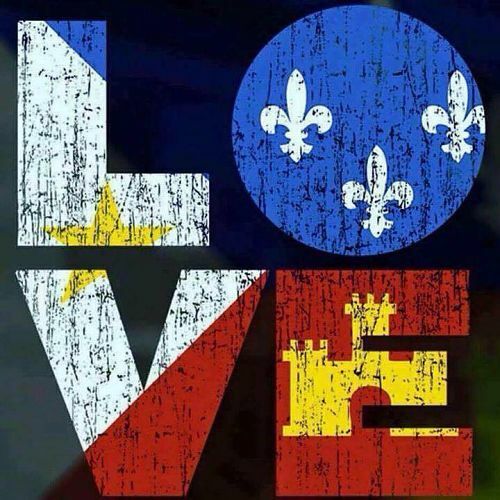 Last night, tragedy struck the place where my heart lives – Lafayette, LA. When something like this happens in a place that you don’t know well, it’s easy to send prayers, support and keep moving on with your life. When it happens in a place where the majority of your family lives, where you have so many memories and where your heart lies, it’s a whole different experience. I remember grieving after my father died. I got the news around 3AM and I thought “Let me get some sleep and then I’ll drive to Lafayette.I’ll be thinking clearer in the morning. There’s nothing I can do at this point anyway.” (I lived in Baton Rouge at the time – about a 45 minute drive to Lafayette). I was physically ill all night from the grief. I couldn’t sleep. I felt like I was in a fog. When grief like this occurs, it’s amazing that you can feel that your whole world is falling apart and the rest of the world keeps turning. It’s mind boggling, but oddly reassuring at the same time. For months and months after my father’s death, I’d try to sleep and wake up and think “Wow, I had this awful dream – that Poppa died of a heart attack” and then I’d realize that it was reality – it had actually happened. I’m having a similar experience tonight when trying to sleep. I keep waking up thinking this was all a bad dream. I wish it were – as so many do. Tonight, I find myself recalling so many memories of the location of this senseless tragedy. The movie theater was once a GIANT supermarket called “The Real Superstore”. I remember how you’d have to deposit a quarter to get a grocery cart and that was a highlight of our trips there. I recall the store being HUGE and it seems like you’d get lost in there for days while shopping. It was an epic grocery shopping experience. That’s my most succinct description of the place. There was a car wash across the street and a Church’s Fried Chicken stand. I can still hear the jingle of the commercials in my head for the car wash “All. Pro. Brushless. Car. and. Truck wash” – any Lafayette resident from the 1980’s or 90’s will remember those commercials. Judice Inn, an iconic burger stand is right across the street. I’d go there all the time in high school – there were never any french fries served, only potato chips and the Cokes were served in the old school glass bottles. I went to that movie theater recently on a trip home – my mom and my aunt joined me for an afternoon matinee. 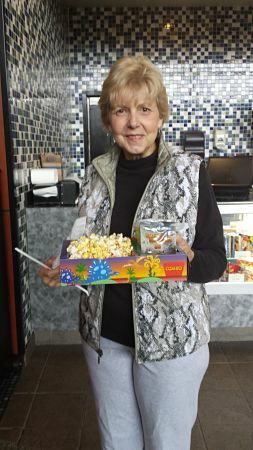 My mom had to get a kid’s snack meal and I remember how cute she was with her little snack box before the movie. It’s amazing how the memories started to flow when I heard about the shooting. It is such a different experience when you know the place, the people and have so many memories tied so closely. I’ve heard Lafayette describes as a city that’s really just a big small town. That’s incredibly accurate. While Lafayette is big enough to have the characteristics of a city, the roots to this area run deep. Everyone seems to know everyone else – and people here stick together. It’s a true community. My heart goes out to the victims and their families. The Cajun community takes care of their own – I know you’ll be showered with love, support and food. Hey, we’re Cajun…we feed people. It’s one of the ways we show love. The one thing that brought me peace in the months after my father’s death was saying the rosary every night before bed. A neighbor in my apartment complex encouraged me to adopt the habit and it was the only thing that brought me peace. I encourage you to find what brings you peace during this time of tragedy. Perhaps it will be prayer, meditation, walks in nature or spending time with your family. I pray that the victims, their families and the community in Lafayette and those who have ties to Lafayette find peace. Even those of us who no longer live there are mourning with you. This is my hometown, my people – my family lives so close to here. My cousin’s long-time girlfriend was actually at the theater when it happened. I visit with them every time I come to town. These are people I know, people who come to my family functions. Luckily, she was seeing a different movie. My sister in law and nephew were less than a mile away – swimming at a nearby health club. The fact that they were all so close to this shooting is scary to me. Lafayette, please know you’re in our hearts. We’re sending you love from all over the country. I wish there was more I could do – I’m sure so many others feel the same. For now, I’ll send prayers, love and positive vibes your way. I hope you can feel the love, even if it’s from afar. It’s so hard to try to make sense of the kind of violence. My thoughts are with you and those who are suffering. Thank you for sharing.